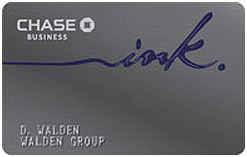 The Chase Ink CashSM Business Card is offering a $200 cash back bonus for new cardholders that spend $3,000 or more within the first three months of account opening. This is a great credit card that provides businesses with online tools that allow for easy management of accounts, creating spending limits on employee cards, tracking expenses, and identifying potential tax deductions that you may qualify for with specific purchases. Best of all, this credit card has no annual fee! One of the best things that the card offers is its cash back program. To take advantage of the rewards program available through the Ink CashSM Business Card, you’ll need to sign up once with the Chase Ultimate Rewards program. Once you’re signed up, you’ll start earning 1% cash back on all your purchases. The card also provides 5% cash back and 2% cash back on certain purchases. Keep in mind that the additional 5% and 2% is limited to $25,000 in spending a year. One of the cool things about this card is how it helps you manage your small business. Particularly if you have employees who need a credit card. First, you can get as many employee cards are you need, and earn rewards on the spending from those cards. You can also set a different monthly spending limit on each card. The card provides business owners with multiple tools that help make keeping track of expenses as easy as possible. Small business owners looking to earn cash back without paying an annual fee should seriously consider the Ink CashSM Business Card from Chase. The $200 cash back bonus, multiple cash back opportunities, and financial management tools are all great features to take advantage of. Sign up today and start saving money for yourself and your business!